Detectives investigating a hit-and-run in Brierfield which left a 74-year-old woman injured have made a number of arrests. Officers began their enquiries following the collision which happened at around 8-25pm on Sunday, May 8th, when the woman was involved in a collision with a vehicle as she crossed Colne Road after the Churchill Way roundabout. The vehicle failed to stop at the scene. The woman suffered a head injury and was taken to Royal Blackburn Hospital where she is still recovering. Seven people in total have been arrested on suspicion of causing serious injury by dangerous driving. 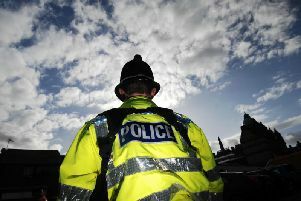 Two men from Brierfield, aged 25 and 21, remain in police custody. Two men, aged 58 and 30, and a woman aged 26, all from Brierfield, and a 32-year-old man from Nelson have been released on police bail pending further enquiries until July 14th. A 31-year-old man from Nelson who was arrested has been released no further action.